Sorry about the wait we've been moving this past week. I've got some things to show. First I've discovered a new love. I was looking a some hand dyed fabrics and the price plus shipping for a lot of them was pretty high. Now I'm a pretty thrifty person so I looked up cost efficiency of making my own. I decided I really wanted to try my hand at it so with some good coupons I gave it a go. Last pic is with flash. I think it turned out pretty well. This is 32 count oyster linen with royal blue and sunshine yellow Tulip permanent dye. 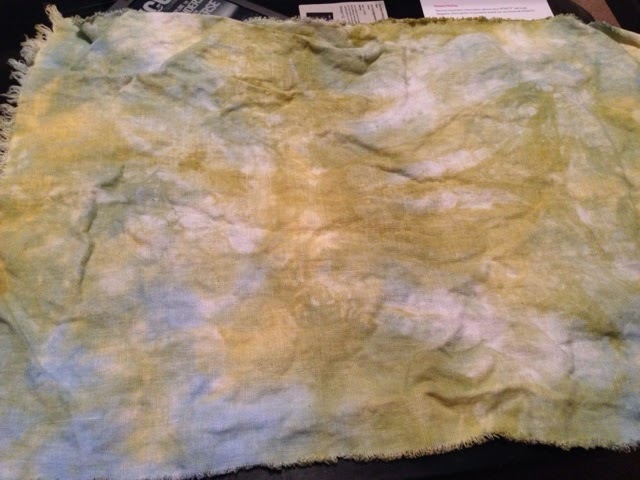 I know everyone says to use Procyon dyes but I'm planning on using this to stitch on over my trip and couldn't wait for it to come. 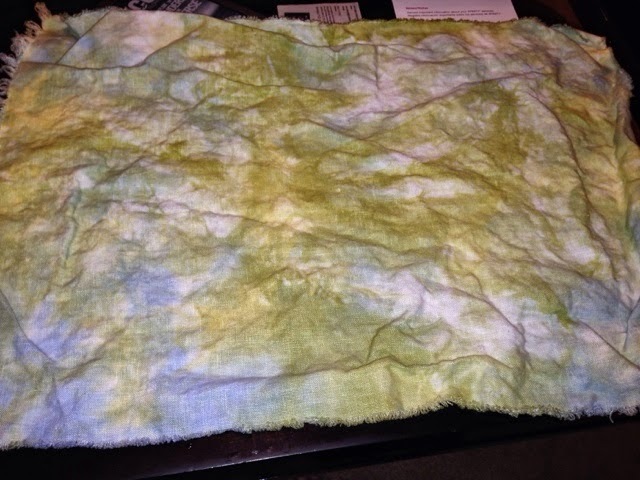 I'm really happy with it and think I'm going to be dyeing all my fabric. It's not nearly as difficult as I thought it would be. 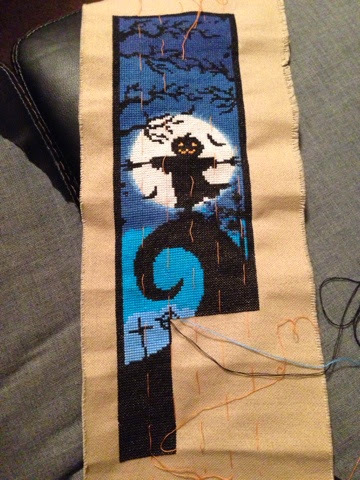 Secondly I reached the bottom of Halloween Blue and finished two columns. I'm close to a finish. The next column will show us the beginnings of the ghosts. Hopefully my next update will be a finish and a start. I leave for Europe in 5 days and I'm so excited but also kind of nervous. And I still have a ton of unpacking. It took two full days until about midnight each day to move but hopefully unpacking will be easier. Thanks for sticking with me and I love comments!